A battle is brewing in the NSW South Coast seaside port of Eden. It involves something very dear to the hearts of residents of any Australian country town, the local pub. The famous Hotel Australasia on Eden’s main street has stood like a fortress overlooking the fishing hamlet for 110 years… It has quenched the thirst of former whalers, seafarers and sleeper cutters and has welcomed in more recent times the throngs of summer tourists that come to Eden for a taste of the authentic south coast experience. Sadly the pub, known affectionately by locals as ‘the pit’ closed down in 2013 as the family owners struggled to come to terms with expensive repair work to the roof and structure of the building. 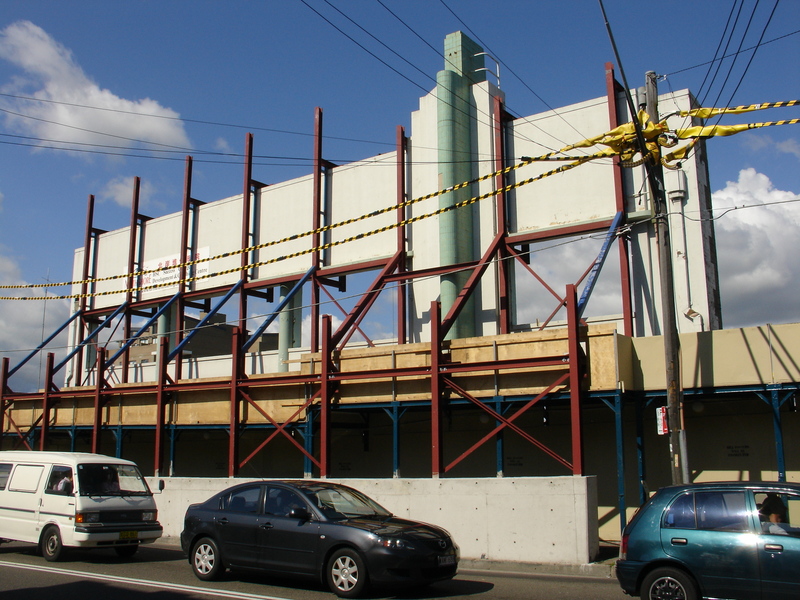 It was put on the market and eventually bought up by Great Southern Developments, a company that quickly sold on the poker machine licences for a tidy profit, and now intends only to knock down the historic hotel, and replace it with a generic big brand supermarket, a liquor store, and retail shops. Wagon wheels and drinking men. Whalers, seafarers, and sleeper cutters. Always a crowd at the pub. A historic hotel in a historic town. For decades the centre of Eden town. Historic Hotel Australasia check-in card. The nearby Great Southern Hotel. Image Inheritance. An unworthy replacement. Generic architecture, generic brand. DA image. In fact it is a crime to even contemplate knocking down a pub as outstanding and historic as the Australasia, one that helped shape the township of Eden, over many decades, one that has been at the centre of the community, one that tourists and locals alike can immediately associate with its surroundings. The pub is the town and the town is the pub. And even if the pub is not a pub anymore, then the building should remain for posterity. 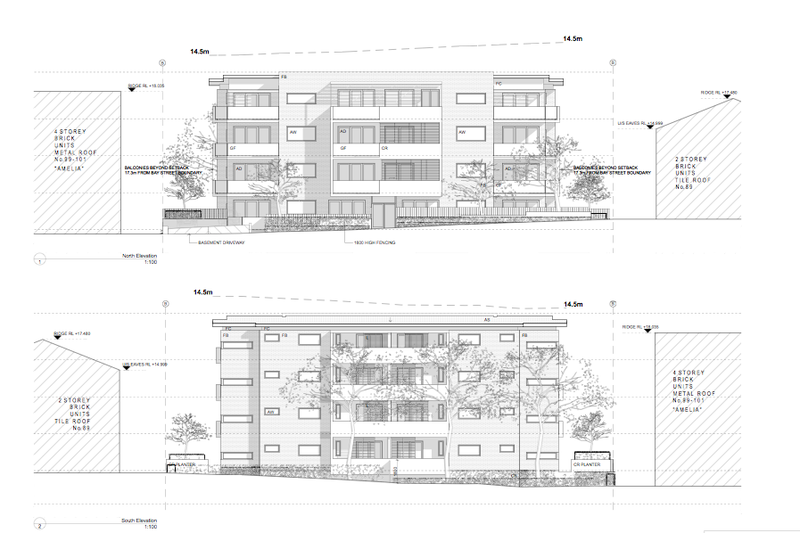 It has been suggested that the facade at least would remain, but that notion has recently been flatly rejected by the developer who obviously wants to cash in on every square metre of their investment, regardless of what is wrong or right. Talking to locals recently I learned that many even question the need for a third supermarket in town, two serve the population adequately as it stands. “Full demolition of all buildings on the site would not address heritage values or community expectations. It would lose an important urban design element from the Imlay Street streetscape and would deny the option for a future owner to restore the building and reinstate a potentially very valuable tourist element into the town. This last point is very important as it is often the historic buildings that are sought for restoration and adaption when towns such as Eden cycle into economically more prosperous times. The recent restoration of the Royal Hotel in Queanbeyan is an excellent example. It is right for council to nominate the hotel as a heritage item, but the developer is now taking the case to the Land and Environment Court. They believe the listing has come too late, and feel they have a God-given right to do with the land whatever they want to. So on one hand we have the concerned residents who simply and justly wish to retain the heritage and individuality of their town for future generations to enjoy, and a council that has heard their concerns. On the other hand we have the cashed-up developer who has snatched themselves a bargain property right in the town’s high street, doesn’t give two hoots about the subject’s history or visual townscape impact, and is acting like they are doing the townsfolk a swell favour by building another supermarket that they don’t actually need. Appeal date in the Land and Environment Court is 28 April 2014. Click on thumbnail images in gallery for slideshow… Colour images Inheritance, historic images courtesy Angela George’s collection / State Library of NSW. 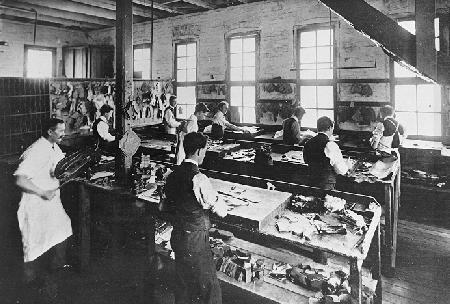 It seems unfathomable in this day and age that a council-owned heritage building such as the Old Boot Factory in Bondi Junction could be slated for demolition, but in this era of Liberal dominated ‘heritage hate’ anything and everything is unfortunately possible. In a move that has outraged the local community and stirred up a whole new wave of heritage activism, Waverly council has announced that it will bulldoze the last free standing heritage building in Bondi Junction due to foreseeable maintenance costs of one million dollars. In a special meeting of 29th April the Liberal majority voted to overturn a recission motion that would have postponed the demolition pending proper consultation and investigation. They should be ashamed. As it is a physical structure of bricks and mortar, and a community asset there will always be costs associated with a building such as this, that should be a given; for the council to shirk their responsibility and put it down to a dollar value is quite frankly pathetic and unacceptable… protection and upkeep of buildings such as this are part and parcel of their service to the local community, like removing the rubbish or keeping parks clean. Imagine the outrage if they decided to finish these services due to lack of funds. 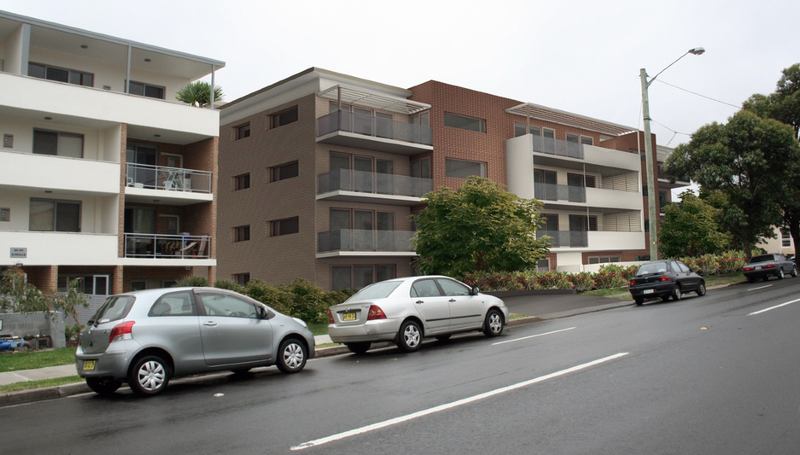 In any event one million dollars is not a whole lot of money when it comes to buildings in the area, considering it wouldn’t buy a resident much outside of a two-bedroom unit down at Bondi or Clovelly. I know of another coastal council that recently spent over $100,000 just in putting up ‘no overnight camping’ signs along its beaches and guess what, the campers are still there camping. Great value for money that was… And if council are so cash strapped when it comes to heritage then perhaps they could apply for a grant from their Liberal government buddies on Macquarie Street, not that it would be forthcoming. The Boot Factory, at 27-33 Spring Street, Bondi Junction, is one of only two remaining in Sydney, and is remarkable as a rare surviving local example of a Late Victorian Free Classical factory building. It has been standing for over 120 years, being built in 1892, and hasn’t fallen down yet, and with advancements in structural engineering over the years, it certainly isn’t out of the realms of reality to save this building. In Europe for example, it is not uncommon to see 500-600 year old buildings standing proudly, many of which look more derelict than this one. Perhaps they don’t have Liberal councillors there. What is concerning is that no independent assessments by a heritage engineer have been made in this case. Instead, Waverly council has unfairly rushed through the process acting as owner, applicant, assessor and decision maker on their own DA. The factory lends itself to being adaptively re-used as an art gallery, museum, restaurant, cafe or the like, if only Waverly Council can get past the monetary shadow and get on with the job people expect them to do, that is to protect a heritage listed significant building like this from being laid to waste. If the whole process wasn’t so rushed as it seems to be currently, perhaps the costs could be sourced by fundraising and targeting some wealthy benefactors who appreciate the value of local heritage in its existing form. And residents, you have a duty here too… You wouldn’t stand for them not emptying your bins, so why stand for this? Main image is a still from HeritageModeller. There is an excellent video including a 3D digital model of the Factory here. Link to local resident group Rescue Bondi here. The suburb of Hurstville in southern Sydney has long been a place of change. From transport hub to shopping megalopolis to high rise residential, the city hasn’t been spared the throng of development engulfing many centres around metropolitan Sydney. But Forest Road, the busy main thoroughfare lined with Asian eateries and grocery markets, still retains glimpses of architectural charm. I enjoy a stroll along the bustling strip, now clearly influenced by a generation of Chinese migrants. Here you will stumble across butchers selling budget chops, rock star Vietnamese bakeries peddling pork rolls to the masses, Bok choy and Choy sum falling out of little boxes outside grocery stores, golden roast duck hanging gloriously from shopfront windows, noodle and dumpling bars exuding sweet aromas. And as its backdrop, a charming mixmatch of Victorian and Federation style shopfronts and art deco facades, even an early underground shopping arcade linking Forest Road to nearby Westfields, rumoured to be the first outside the Sydney CBD. The place is a hive of activity, a successful working class migrant story, and it oozes an air of Oriental resourcefulness and prosperity. It’s good to see the Chinese community interact on Forest Road, the way they meet, the way they banter and communicate with one another. Elders are respected and their company is relished. You see it anywhere people of Asian backgrounds congregate. I believe westerners can learn from this sense of social connectivity on show. But drastic change is once again in the air. A backflipping council, who previously claimed they would keep the CBD residential-free, now has big publicized development plans on the agenda. 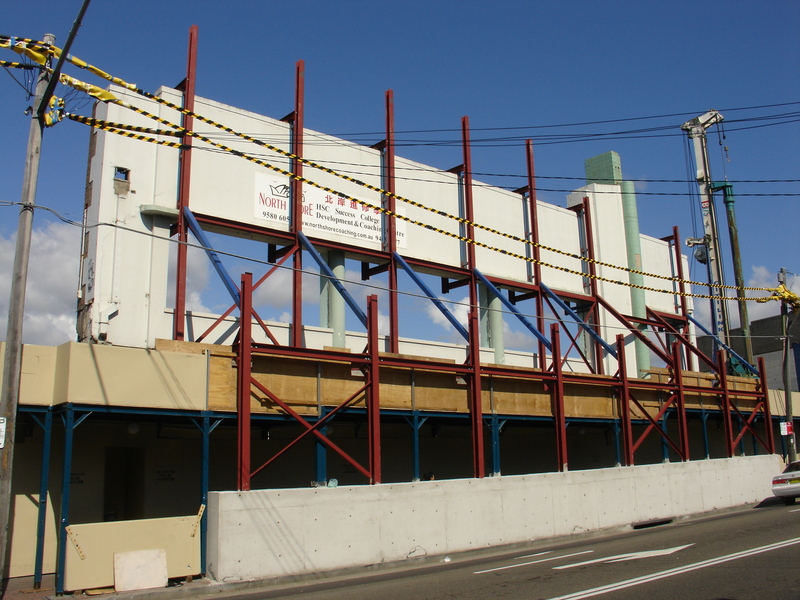 This is already taking shape along the northern stretch of Forest Road, just along from that massive former Amcor factory development, at 127-141 Forest Road, where a gaping hole has recently appeared and swallowed up a row of little shops and restaurants. At least they have left the façade for posterity, although far from acceptable, it’s better than nothing. It is only a wall after all, is that any substitute for a true heritage building? 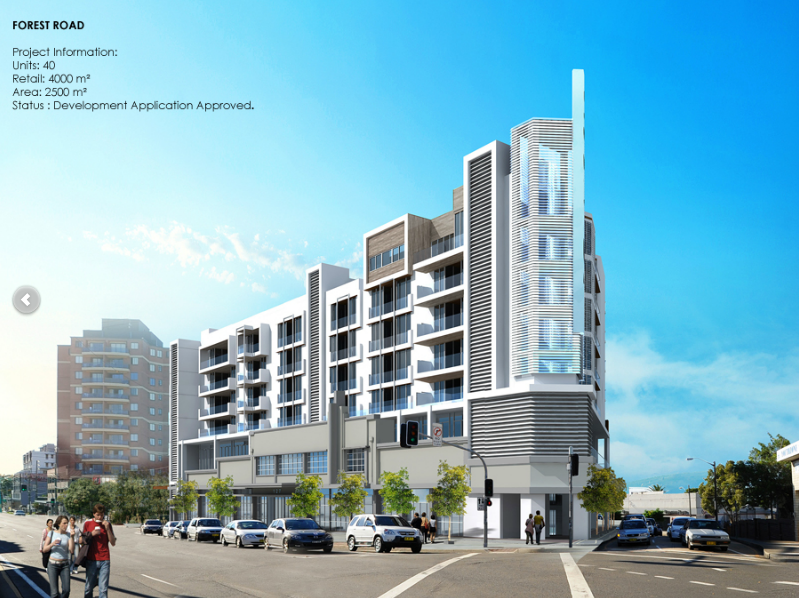 Katris and Associates approved development. The heritage facade is a little overwhelmed to say the least. Further along, opposite the railway entrance sits the Stokland (former Fosseys) building, a landmark example of an early department store, and quite an elegant example of its type. This council-owned building is now for sale, under a profit taking scheme to bulldoze and replace it with a small park standing over several new levels of underground shopping (that must be a first for modern-day planners; you can have a park, but it needs to make money, there needs to be a shopping centre beneath it!). The existing historic arcade is also at risk. 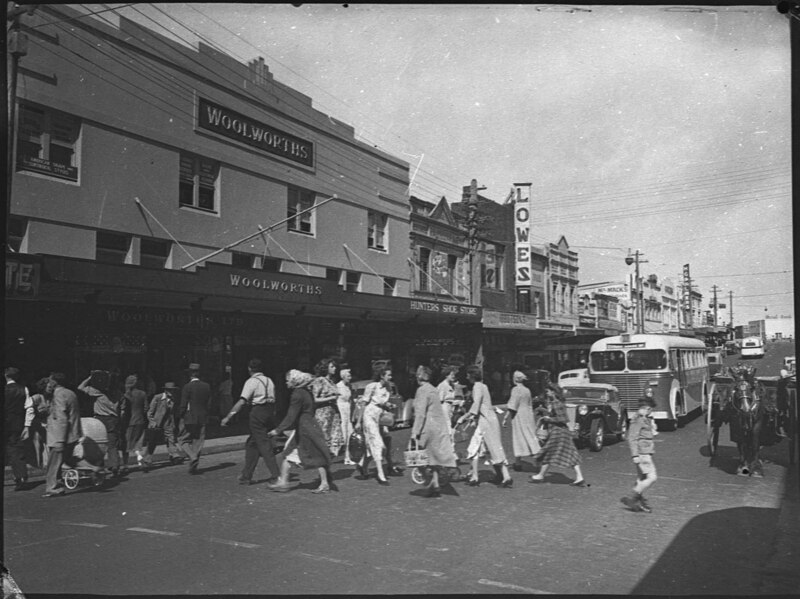 Stockland, former Woolworths, Fosseys art deco store, 1951. To be sold and demolished by council 2013. 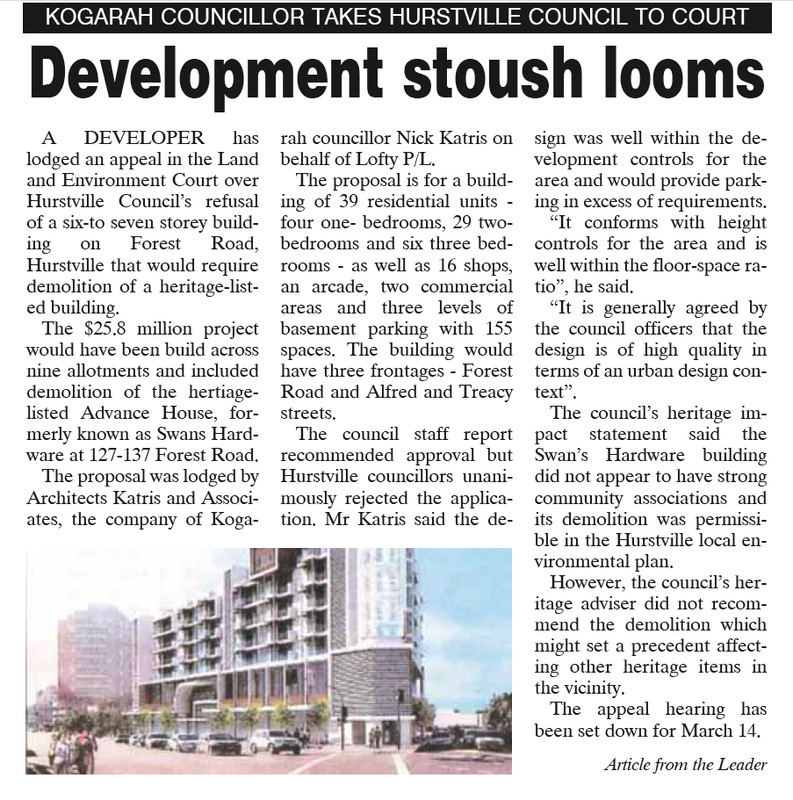 Hurstville Council, under pressure from the NSW planning department, now appears intent on bulldozing much more of Hurstville’s historic main street. Now it’s been revealed that village centres Riverwood, Peakhurst, and Penshurst won’t be spared either under new zonings set by Minister Hazzard, despite Hurstville Council trying to ‘funnel’ high rise into the CBD. How much will survive now that high rise development will be allowed to encroach into Forest Road and other centres. Many of these buildings are over 100 years old, in essence, an ‘old town’ streetscape that should be retained and protected rather than turned into glass and concrete high-rise. There is nothing more soulless than new glass shopfronts supporting multi-storey units. Many of us prefer the rambling, human scaled, colourful, sometimes crumbling shopfronts of a Hong Kong style market, where street life abounds and takes on a meaning of its own. This won’t be the case with new mega-development from architect firms such as Katris and Associates, swallowing up any heritage, any vibrant colour that now exists on the Forest Road strip; heritage that has evolved over time to take on new generations, and suit their needs, and provide all that is required for a healthy shopping precinct to exist into the future. Stokland, former Woolworths, and Fosseys department store. And guess who’s still next door… Lowes! 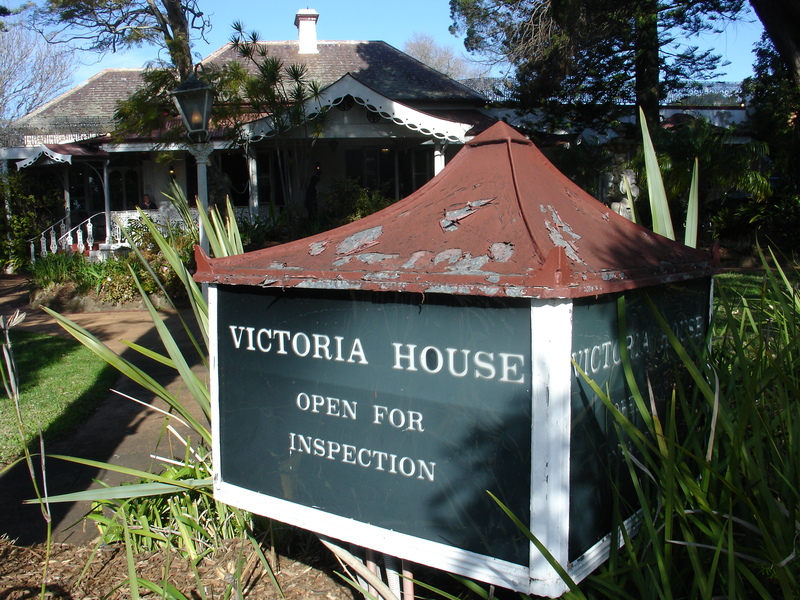 It has been brought to our attention that a service wing of the Victorian mansion Woodstock, owned by Burwood council, is being demolished to make way for a new hall complex. The service wing, dating from 1894, and adjoining toilet block, from 1981, are to make way for the 1.6 million dollar project commencing immediately, due for completion in late 2013, to be built by Rapid Developments. Woodstock itself is listed as a state-significant heritage asset, and known as the pride of Burwood, which makes it quite surprising that the attached period services wing can be bulldozed with little or no public consultation, and what seems total disregard for the completeness of architecture… The loss of this wing is subtractive to the overall Victorian era build of Woodstock, and diminishes the heritage feel of the structure as a whole. Washrooms and laundries were almost always placed in separate wings and although it was added slightly after the main 1873 building it does match in style and can be seen as integral to the structure. The new hall has its own architectural style and I will let you be the judge of whether it befits a house of this historical stature or not. Certainly it will add to the amenity of the building which accommodates over 40 community groups including arts and fitness users and radio station 2RDJ-FM. However what is concerning here is the partial demolition of an important heritage building, and the way an ultra-modern hall can be lumped on to a Victorian mansion with what seems to be “heritage gay abandon”, completely convening the rules for state-significant listed properties. The new hall will crowd Woodstock and block one whole side from view. The new hall, an artist’s impression. More pretty plastic people. 1894 service wing. Note period features. Despite being built in 1981, great care was taken to integrate the toilet block into the building. Mr. Edwin Penfold, one of Australia’s largest tobacco manufacturers, built Woodstock in 1873. In 1914, Woodstock was sold to Mr. Keep, who renamed the mansion “Broughton”. The Keep family resided there until 1941. 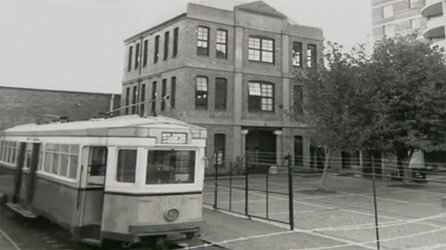 The property was then transferred to Burwood Council for a short time until the Commonwealth Government acquired it in 1942 for use as Army divisional headquarters. 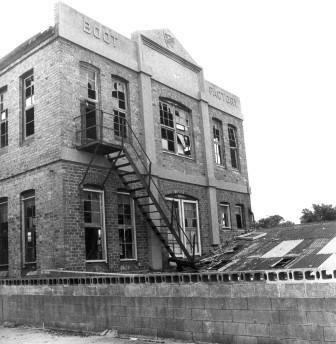 After the war, the property remained vacant until 1949 when it was used as a migrant hostel until 1974. 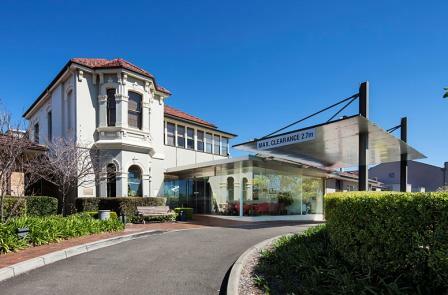 In 1976, Sir William McMahon arranged a long lease for Burwood Council on the property and the council restored, renovated and converted it to the community centre it is today. It was officially opened by the Governor General, Sir Zelman Cowan on November 11, 1979. Before his retirement from politics, McMahon the former Prime Minister and then Federal Member for Lowe, negotiated a sale, whereby the Council bought the property from the Commonwealth Government in April 1982 for $40,000. The 100 square building set in several acres of land is home to at least 40 organisations and community groups. In a year, more than 80,000 people use its multitude of facilities. The building also houses the studios and offices of radio station 2RDJ-FM. The name “Woodstock” was derived from Woodstock, Oxfordshire, England. The senseless demolition of Griffith House hit a last minute snag last week as workers arrived on Wednesday morning to the confronting site of protest slogans all over the white ‘shroud’ that had been set up to cover the crimes of their work. A large banner was seen hanging from the very top of the structure with one word painted across it in blood red colour – “SICKNESS.” This is quite an apt statement to describe the state of affairs pertaining to the loss of such an important heritage asset on the grounds of St George hospital, the house of Peter Herrmann, a founding father who actually helped to set up the hospital. Perhaps the protestors were alluding to the current state of planning in NSW under the O’Farrell/Hazzard government, and the lack of sympathy given to protection of our heritage architecture. Or perhaps it refers to the state of mind the South Eastern Sydney Health Board were in when they controversially decided that it was more important to retain a rather sick looking Animal Testing Research centre on nearby Kensington St than to protect priceless heritage for the people of the Southern suburbs of Sydney, a decision that has since been revealed to be a lie, as neither building seems to be part of the final fabric of the redeveloped hospital. “SHAME” was also blazoned across the sheeting, a word that perhaps could sum up what SES Health CEO Terry Clout may be feeling as he ponders his part in the decision making process, a process that left the site of St George Hospital stripped of its most important historic building, replacing it with a mundane looking Bunnings Warehouse-style Emergency Department, and left public interest strangely on the sidelines throughout the whole ordeal. It may sum up the silence of Morris Iemma, Chair of SES Health, who decided not to get involved amidst a row of communal disapproval, not bothering to respond to concerns that I myself made in communication to his office. Or it may or may not be part of Oatley MP Mark Coure’s vocabulary, a local politician who just doesn’t seem to get the heritage business at all. Or Cath Whitehurst, St George Hospital’s Director of Operations, who initially denied the house was heritage listed, when in fact it always was. And the final shame, of course, goes to NSW Planning Minister Brad Hazzard, who rubber-stamped the wanton destruction of this locally significant historical landmark for the sake of an access road and a few parking spaces. Above, a morning to remember: A series of photographs were sent to me and The Leader newspaper, taken by passers-by on the morning of Wednesday 17th April. Site managers and workmen were seen scrambling to clean off the protester’s words, wholly aware of the negative publicity this project has fought hard to avoid the whole way along. Perhaps too late for this building, but the message was clear enough. 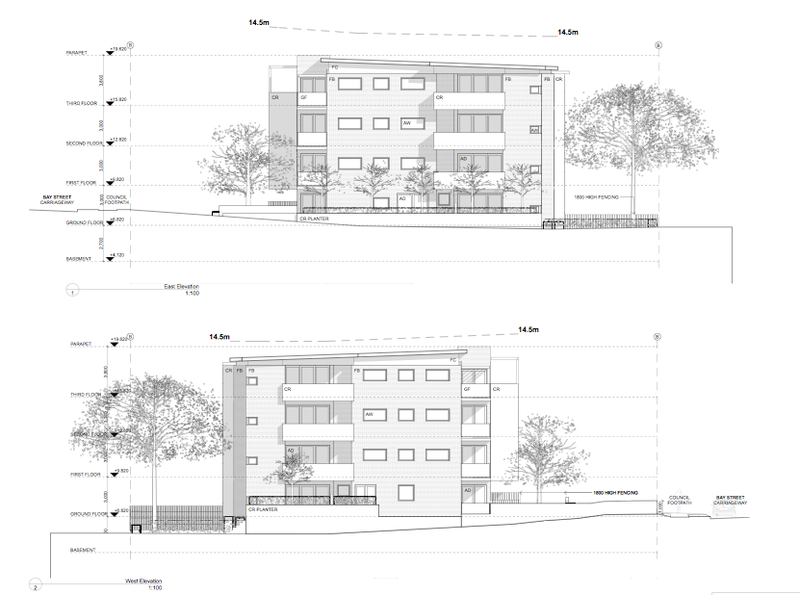 The fact is there was an alternative here, a simple one that would have produced a favourable outcome for the hospital, for the users of the hospital, and for the residents of Kogarah moreover. The result it was not explored has left us with just two words, ‘sickness’ and ‘shame’, sickness being the cause, and shame the result. Hospitals are normally in the business of healing sickness, not causing it, but not in this case. Will we learn from this tragedy? If we don’t then the future of heritage retention in NSW is sealed. Below, a last look at Griffith House. Perhaps it should have been renamed Peter Herrmann House in honour of its builder and resident, one of Kogarah Council, Fire and Hospital’s founding fathers. His legacy has now been all but erased by this senseless act of heritage vandalism, in the name of cheap cost cutting and short sighted politicism. I took a walk around just before the secret shroud went up and tried to remember what never should have been taken from us. 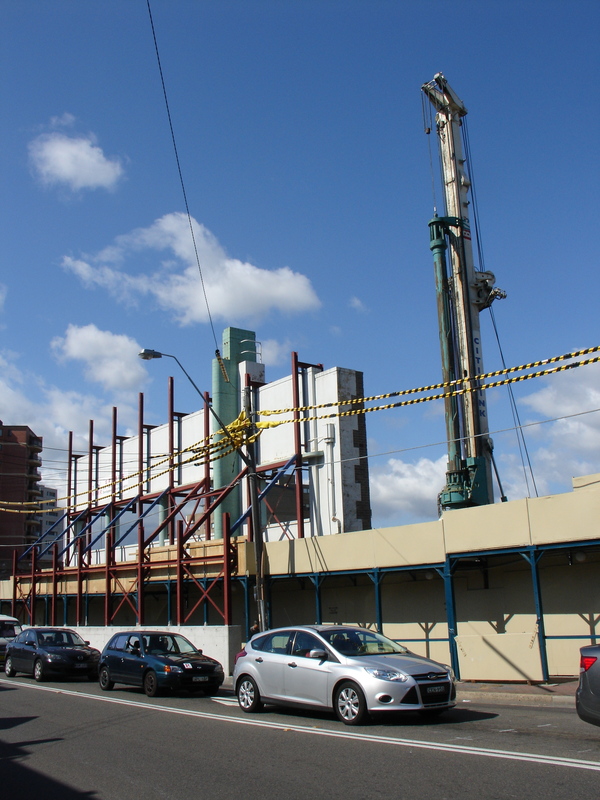 Here is an image of nearby Hurstville Private Hospital, 37 Gloucester Rd. Hurstville. Despite it’s extensive renovations and expansion, they have managed to keep their own heritage building as a centrepiece, on a real estate plot that is obviously much smaller than St George Public, and with resources far smaller. The question now becomes, how can the private system balance heritage values with first class hospital delivery, and the public system fail so badly?